Somonauk Public Library offers several book groups for your reading pleasure. 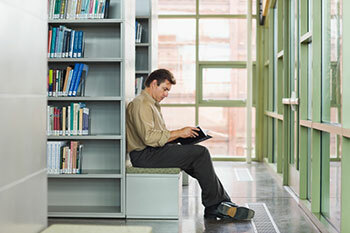 Each group is designed for the reading interest of the patrons in the group. Each group meets at the library during library hours, either during the day or in the evening. The groups are open to all adult patrons whether male or female, a library card holder at our library or another library. Books are chosen by those that participate in the groups during the year. All are welcome to participate. This book club meets on the third Thursday of each month at 6:00pm. Each month a mystery book is chosen by the group for the following month. If you like a who-done-it, this is the group for you. This group meets the last Tuesday morning of the month at 10:00am to discuss the books chosen monthly by each one of the men. They have read westerns, biographies, and books of historical fiction/nonfiction. A group to stimulate the little gray cells! A book club that enjoys all different types of books, authors and situations. Some of the books are fiction, some non-fiction, whatever the group wants to read during the year. This group meets on the second Thursday of each month at 7pm. The newest book club formed is the History Book Club, meeting the second Monday of the month at 6:00pm. Reading and discussing historical books chosen by the group. This group is open to both male and female readers and is an opportunity for some serious discussion on history. The library is now offering Bingo with prizes, for adults age 18 and over. Bingo takes place at 12:30pm most Wednesdays. Refreshments are provided. Every Monday from 3:30pm to 6pm. Adults, come join other writers to read and discuss your work! This group meets every Monday in the Library Meeting Room. No registration required. Open to adults and high school students.